JBZ seriespaper bowlforming machinewas developed according tothedomestic situation and inthe basisoffullyabsorbingKoreannewestpaper bowlmachine.Itthroughtheautomatic paper feeder(fan-shaped after printing paper), doublewarm-up system, sealing(bowl wall),oiling (the lubricationonvolumesmouth), red bottom(from roll paper automaticly cutting), The double system for bottom heating,theknurled(bowl bottom sealing), thecurling(volume catchy), rolling water line,continuous processofunloadingbowlcollection, and has a photoelectricdetection, faultalarm, countingfunction.It is the ideal equipment for producingpapersoup bowls, instant noodlesbowl, take awaypaper bowl, large diameterbottom paper containers like popcorn bowl ,KFC bowls etc. 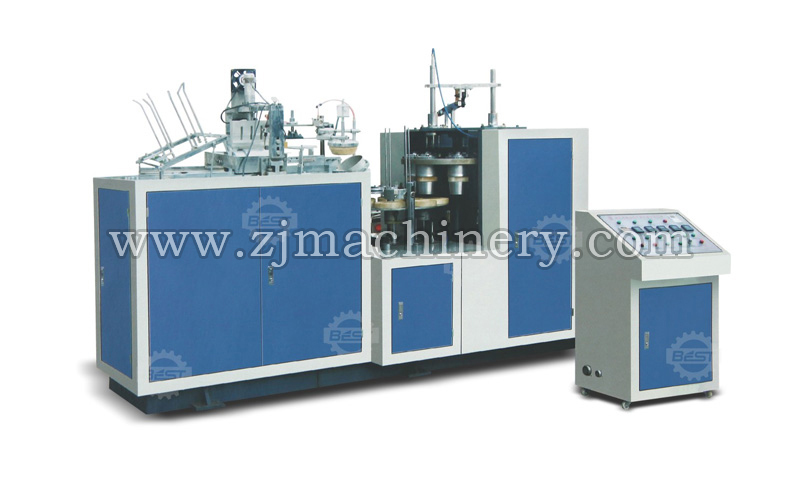 JBZ seriespaper bowlmachineis mainly used fortheproduction of disposablepaper bowl. Simple operation, stable performance, small footprint, high efficiency, itispreferredinvestmentbusinessprojects. We provide customers for different kinds of special paper bowls.